If you would like to create a fake profile on Facebook, you will certainly need pictures for this. 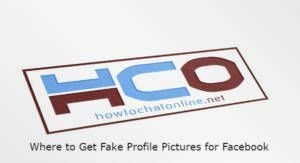 We will tell you where to get fake profile pictures on this page. So you can easily create those profiles. However we recommend you to not to impersonate someone. This is a serious crime in many countries. You can check our recent page which we have told how it is illegal in USA to impersonate someone on Facebook. Click/Tap on the search bar. Save the picture to your computer. Go to Pixlr to make your picture unique. Click on Open Image from Your Computer. Locate your picture and open it on pixlr. Crop the image as you wish with crop tool. Click on “Image” on the top menu of the website. Select “Flip Canvas Horizontal” on the drop down menu. Click “File” on top menu. Save the image and replace it with the original picture. Now you have a unique profile picture which people can hardly find it. You can also find some alternative platforms below. You can do the similar steps which we have told you above for all these picture platforms. Pinterest is one of the most popular picture platform. However pictures in Pinterest are generally very popular. People can easily understand that you have fake profile. We recommend you to try find some unique pictures to use via using Google Image Search option. Imgur is another nice platform to find nice selfies and pictures. You can use some pictures from this platform too. However we also recommend you to check all these pictures through Google Image Search too. Stay away from copyrighted pictures. Don’t gather pictures from another Facebook account. Don’t use personal information of someone. Don’t try to cheat or fraud people. Most of these we counted above will be a legal issue for you.